When news breaks you will hear it from Home Health Line first. For more than 20 years, every weekly issue has been delivering regulatory news, proven best practices and tools to help your agency provide excellent patient care and increased profitability. Subscribe today, and join the thousands of home health agency executives who currently benefit from 48 weekly briefings a year. Home Health Line online is the all-in-one business-building solution for home health agency executives. For more than 20 years, every weekly issue of Home Health Line has been delivering regulatory news, proven best practices and tools to help your agency provide excellent patient care and increase profitability. As an added value, subscribers now receive unlimited access to Home Health Line online, www.homehealthline.com, which includes 24/7 access to a searchable archive of business-building strategies, a job bank to recruit qualified staff, an online forum to share ideas with peers, benchmarks to measure your success and daily news updates. When news breaks you will hear it from Home Health Line first. But unlike other publications, we’ll follow up with in-depth analysis that details how the regulatory changes impact you and what you need to do to prepare. And it’s all available to you online, 24/7! A subscription to Home Health Line is a low-cost way to keep your agency operating at maximum efficiency. 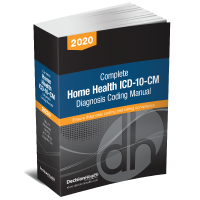 100% Money-Back Guarantee: By using the tips, tools and expert business-boosting guidance you receive as a subscriber to the all-in-one business solution, Home Health Line, you will increase revenue and decrease costs enough to more than cover your subscription! If at any time during your subscription you don’t agree, just let us know and we’ll refund your entire year’s subscription – no questions asked! 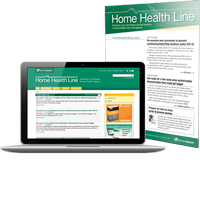 Visit www.homehealthline.com to preview an issue of Home Health Line. For all other inquiries call toll-free 1-855-CALL-DH1 or email our editors.